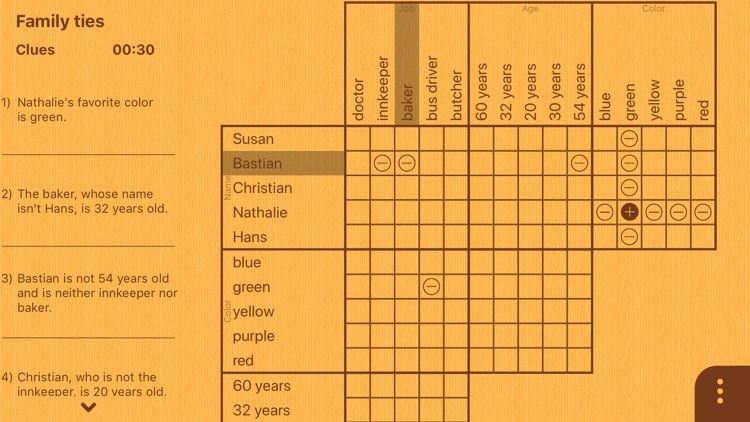 The logic grid puzzle is a classic from magazines. You're given a grid of rows and columns that overlap, and you x out anything that can't be, and circle anything that must be. There is a series of clues to help you narrow down the results until you have the solution. 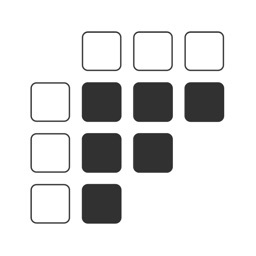 A logic grid puzzle with a twist! 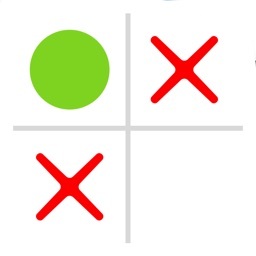 Small logic problems use the same principles as larger puzzles, but are faster to complete and work well on phone screens. One free puzzle every day, or buy a volume of puzzles if you can't wait. 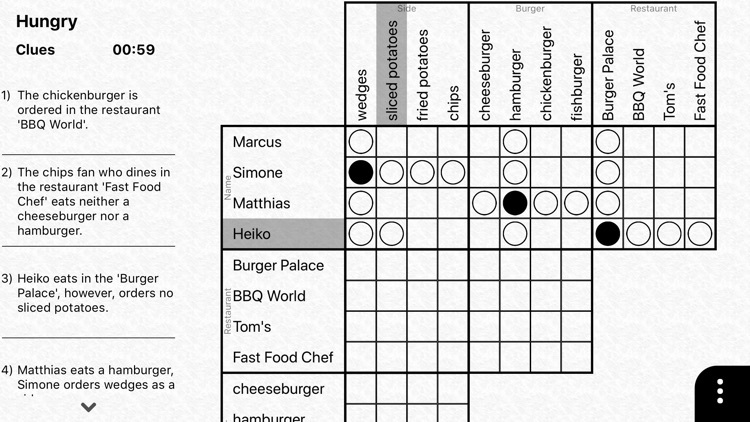 Solve logic grid puzzles similar to Einstein's famous zebra puzzle "Who has the fish?" on your iPad, iPhone or Apple TV! 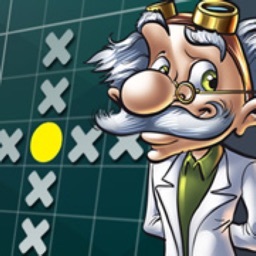 Solve logic grid puzzles similar to Einstein's famous zebra puzzle ("Who has the fish?") on your iPad, iPhone or Apple TV! 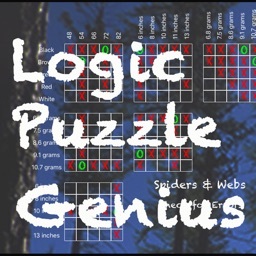 These logic puzzles are for the true logic problem fanatic! Can you solve them? 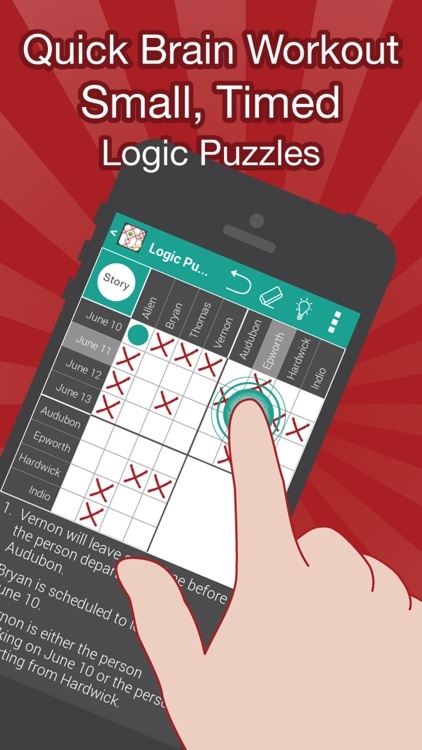 You won't have to take a paper booklet with your favorite logic puzzles with you anymore. From now on you can just play it everywhere on your phone or tablet. Logic Puzzle fans, meet your nemesis. Penny Dell Logic Puzzles to keep your brain active! 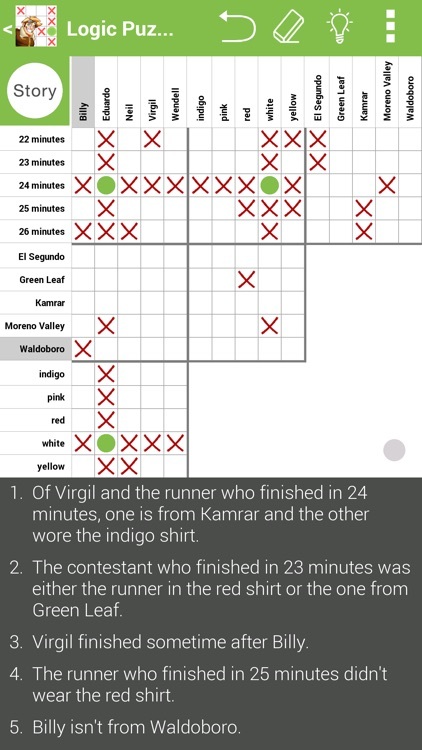 These classic puzzles are for the true logic problem fanatic! 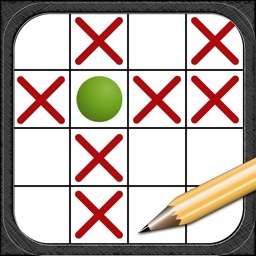 Try the first ten puzzles for free with no ads, no nags and full functionality. 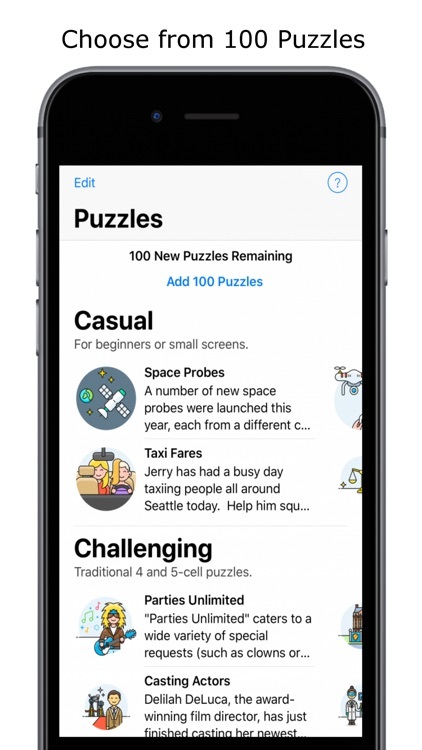 360 more puzzles are available for purchase in groups of thirty, for hours of puzzling fun! Do you sometimes feel that you need a mental tune-up? Feel like your logical thinking skills aren't what they used to be? 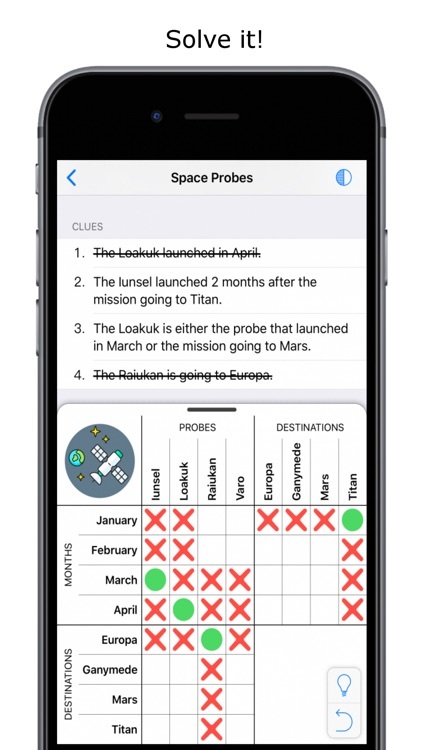 LOGIGRID Logic Problems are a challenging and fun way to develop your deductive reasoning and critical thinking skills. 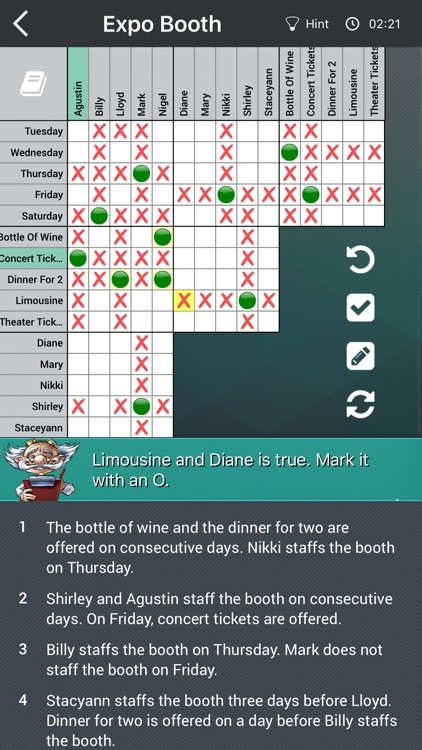 If you regularly do logic puzzles then you know how addictive they can be. 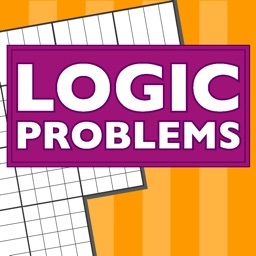 If you're new to logic problems, they're simple to learn so you'll be solving them within minutes. 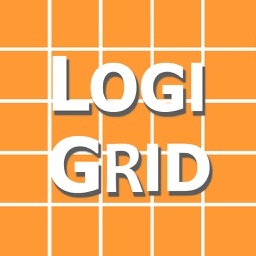 Whether you have just a few minutes or a few hours, LOGIGRID's 25 original logic problems will entertain you while improving your ability to think and comprehend more clearly. 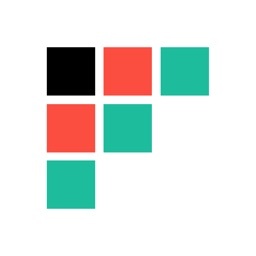 Runs optimally for the iPhone and iPad screen formats. 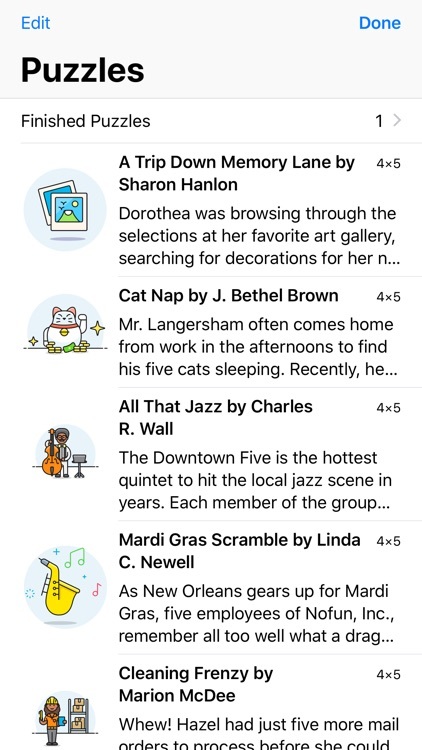 Ease of use features include PROGRESS, UNDO, and AUTOFILL buttons. 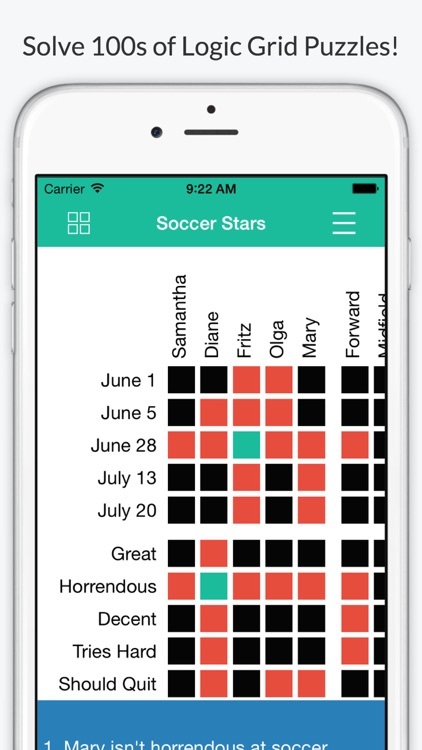 Use in-app timer to challenge yourself and compete against others. 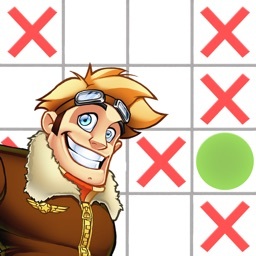 Note: If you have difficulty with the App or any of the puzzles, please email us at [email protected] instead of leaving a poor review. We will respond quickly to your questions and suggestions. 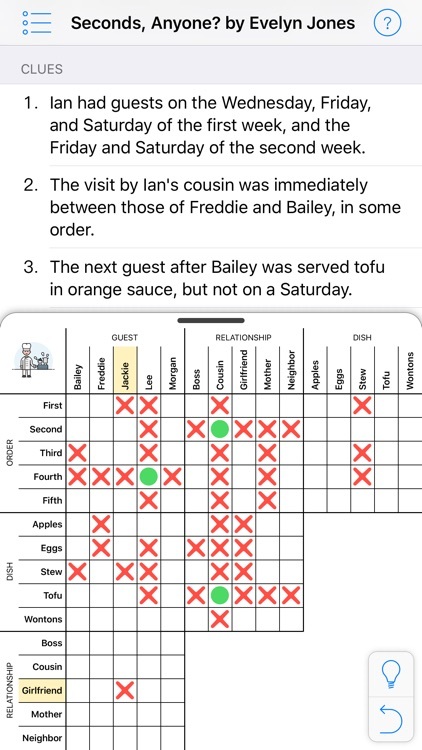 Dave's logic puzzles was the rave on aol in 1999. Fishy's wilderness life adventures told in logic puzzles had thousands of logic problem loving visitors. The site was recommended by MENSA. Logic Puzzle Genius (No. 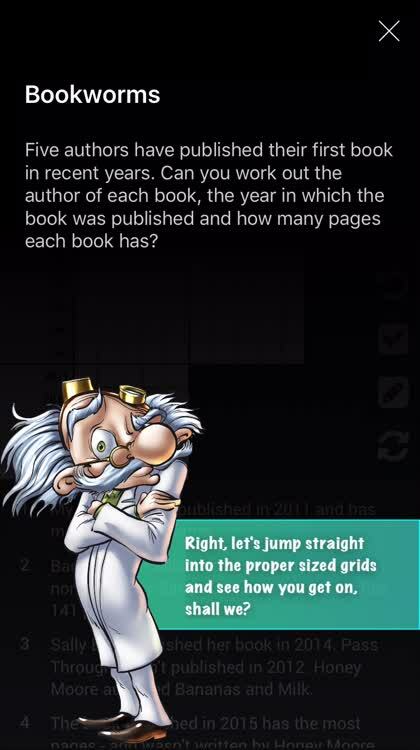 1) is an recreation of those wonderful puzzles in color grids with wilderness or topic related backgrounds. Way back when--each puzzle was computer tested by Dave to make sure of its accuracy and solvability. Dave, whose "Make Money Writing Logic Puzzles" can still be found on the web, taught many of today's logic puzzle writers how. These puzzles range from somewhat easy to difficult. So this is a puzzle set for everyone from beginners to logic puzzle gurus. Instructions can be found at http://geniusat.work. One thing different about Dave's puzzles is that each group has a theme. 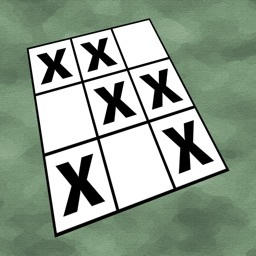 There is a story that follows a set of characters through the puzzles. So you get to experience a world in your puzzle solving. So give these a try and see if you are a logic puzzle genius. 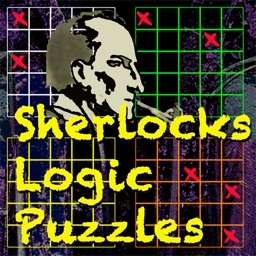 If you are a Sherlock Holmes fan these logic puzzles center around Holmes and Watson. 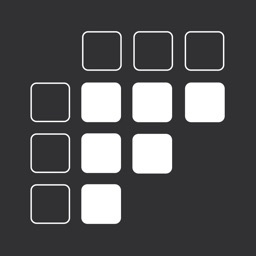 If you like logic puzzles that tell a story, that center around a central theme so that you can feel you are working in an imaginary world, this is the classic logic puzzle for you. There is a special Bonus feature for those who can solve all the puzzles. A Sherlock Holmes Story (Pastiche) "The Adventure of Miss Stephanie Ray" will be unlocked if you can solve them all. This isn't that easy a task. Lady Pemberton's Ghosts is a simple one, with a rating of "**", but they vary in complexity with the Five Pipe Problem being a puzzle it took the computer 6 runs to solve. Difficulty Ratings by the way, are based on how many runs it took the computer to solve the puzzle.